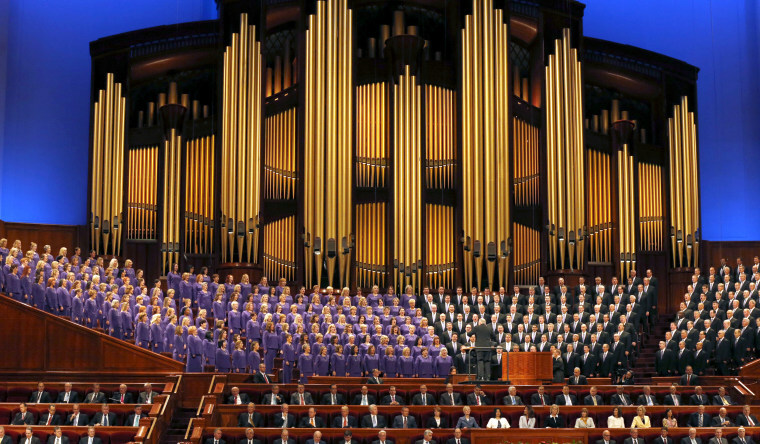 The singers will now be called the Tabernacle Choir at Temple Square, The Church of Jesus Christ of Latter-day Saints said in a statement. The singers will now be called the Tabernacle Choir at Temple Square, The Church of Jesus Christ of Latter-day Saints said in a statement. It's a nod to the home of the choir for the last 150 years, the Tabernacle, located on church grounds known as Temple Square in downtown Salt Lake City. The term Mormon comes from the church's signature scripture, the Book of Mormon, which followers believe is based on the record keeping of an ancient prophet named Mormon. A church webpage that was up before Nelson's announcement described the term Mormon as an "unofficial but inoffensive nickname for members." But Nelson in his August statement urged people not to use Mormon or LDS. The "Lord has impressed upon my mind the importance of the name he has revealed for his church," he said. Speaking later in Canada, Nelson acknowledged that it would be a "challenge to undo tradition of more than 100 years" but said the name of the faith is "not negotiable," according to a video posted on a church website. He said church members need to use the proper name if they want outsiders to use it. "It is a huge brand for the church. It's been there for a long time and people recognize it," Jarrett said. He added, "I don't think we'll lose people. In fact, we may even gain listeners. ... It will look and feel and sound just like always, but maybe even better." "If they want to learn more about the religion, they are going to google Mormon," he said. "There really won't be much a difference. Same music, same beautiful sound. It'll just look different on the brochures," said Deborah McMullin of Stoughton, Wisconsin who visited Temple Square on Friday. Weeding out use of Mormon and LDS completely, though, is going to be difficult, said Chad Guertin, 32, of Magna, Utah.